Grab your cowboy hat and boots because the Yee Haw wave is here. Brought into the mainstream thanks to Young Thug's experimental Beautiful Thugger Girls opener "Family Don't Matter," the movement now counts rappers like Lil Tracy, DaBaby, and Lil Nas X among its ranks, as MCs who are taking country signifiers and sounds, and making them hip-hop. 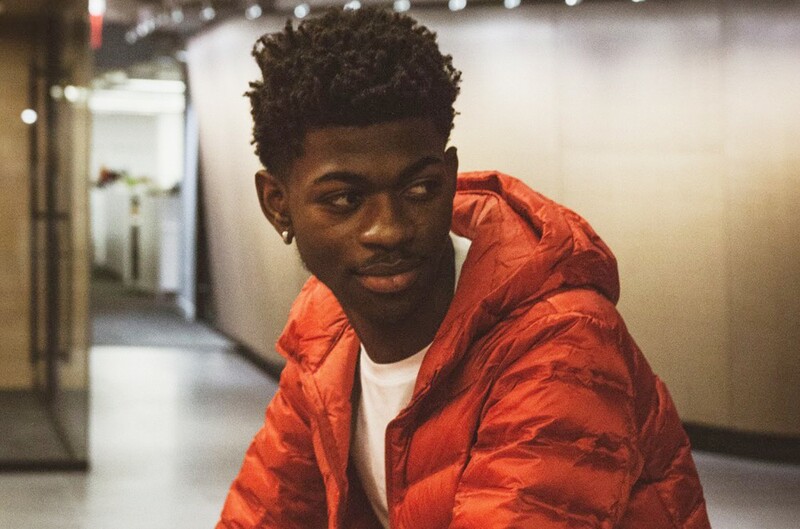 Lil Nas X (birth name: Montero Lamar Hill) and his viral single "Old Town Road" are enjoying an incredible rise up the Billboard Hot 100, where the song sits at No. 51, thanks in part to an array of memes and TikTok app users making it the official theme song for clips showing off their Yee Haw transformations. But the Atlanta native is much more than his first improbable hit. Here are five things to know about Lil Nas X. With all eyes on Lil Nas X following "Old Town Road," labels came calling, dangling seven-figure deals. Last week (March 14), Billboard reported a bidding war taking place with multiple labels in hot pursuit of one of 2019's major draft picks. Columbia Records emerged victorious and locked down a deal with the teenage rapper, as Billboard broke the news of an exclusive agreement being inked on Friday (March 22). Life will surely look significantly different for the MC in 2019, with his career quickly ascending, but he won't forget his humble beginnings. Just last year, the ATLien made the bold decision to drop out of college his freshman year to pursue music full time. "Everybody thought I was crazy," he wrote on Instagram, recalling his peers' reactions. "I knew what I was doing. Thank you everyone, this just the mf beginning!" Nicki Minaj boasts one of the most loyal fan armies; her Barbz will go to extreme lengths to defend their queen. Prior to changing his alias to Lil Nas X, he was actually running a Nicki fan account under the handle "Nas Maraj" on Twitter, which accumulated a solid following of Barbz. Many of the Barbz are calling on other fans to support Nas X's music, as well as attempting to get Nicki's attention to show some love to one of her fans-turned-stars. A fan of Nicki Minaj has debuted on the Billboard Hot 100. Tapping into his Southern drawl is definitely paying dividends. The Atlanta rapper's ode to the lonely cowboy, originally released late in 2018 (Dec. 2), went on to spawn a series of hilarious memes using the opening verse's first two lines on a loop. For the visual, Nas used footage from the Western-themed Red Dead Redemption video game series. The clever Rockstar Games' clip now boasts over seven million views. Earlier in the month (March 4), Florida Georgia Line's Brian Kelley posted a screenshot to his Instagram story with his stamp of approval for the song. A couple weeks later (Dec. 17), the Nine Inch Nails-sampling tune found its way onto streaming services, accumulating over 17 million plays on Spotify as of press time. The track, which touches on lean addiction, has started to do some serious damage on the charts as well. "Old Town Road" debuted at No. 83 on the Hot 100, and has since rose even higher to No. 51 on the latest chart dated March 23. The track compiled 13.9 million U.S. streams for the week and lands at No. 36 on our Streaming Songs chart. Don't be fooled, Lil Nas X's artistry goes beyond the country-inspried rhymes on "Old Town Road." He's a chameleon: take a listen to his bounce-inspired single "Grab That," or dig into his summer 2018 seven-track Naserati project. Standouts include "Donald Trump" (a reference to heavy artillery), where he implements a boisterous flow over a thunderous distorted 808 drum. If that's not your speed, give the melodic "Carry On" a listen, where Lil Nas X unveils the torment of growing up in a fractured family with some help from the 1982 Bobby Caldwell sample by the same name.